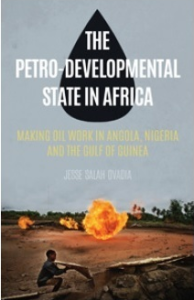 Jesse Salah Ovadia’s research explores the possibilities for African states with petroleum resources to make oil work for meaningful and inclusive economic and social development. This comprehensive volume reviews recent scholarship regarding the role of the state in economic development. With a wide range of case studies of both successful and failed state-led development, the authors push the analysis of the developmental state beyond its original limitations and into the 21st century. 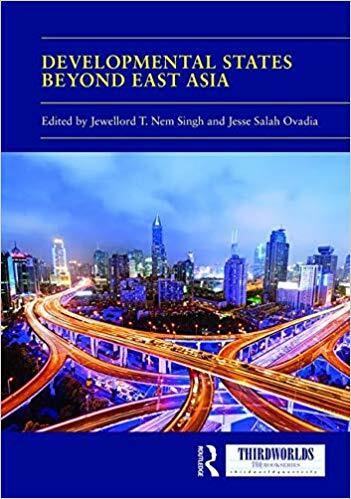 New policies, institutional configurations, and state-market relations are emerging outside of East Asia, as new developmental states move beyond the historical experience of East Asian development. The authors argue for the continued relevance of the ‘developmental state’ and for understanding globalization and structural transformation through the lens of this approach. They further this concept by applying it to analyses of China, Latin America, and Africa, as well as to new frontiers of state-led development in Japan and the East Asian developmental states. This book expands the scope of research on state-led development to encompass new theoretical and methodological innovations and new topics such as governance, institution building, industrial policy and the role of extractive industries. This book was originally published as a special issue of the journal Third World Quarterly. BUY here for £27.99 plus free worldwide shipping. Focusing on local content in the oil and oil service sectors and the changing accumulation strategies of the domestic elite, this book questions what kinds of development are possible through natural resource extraction and argues that a new form of developmental state—the ‘petro-developmental state’—may now be emerging in the Gulf of Guinea, allowing states to capitalise on a resource that has traditionally been thought of as a ‘curse’. In a new moment for the extraction of oil created by a changed domestic context in Angola and Nigeria and changed geopolitical realities, new possibilities exist for state-led economic and social development and capitalist transformation. Get 30% off by entering this code PM16THIRTY and using this link. 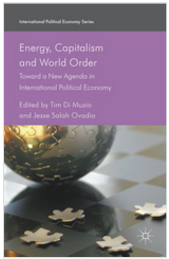 This original, timely and innovative collection is the first to offer critical IPE perspectives on the interconnections between energy, capitalism and the future of world order. The authors discuss the importance of energy for our understanding of the global political economy, climate change and key new developments like ‘fracking’.